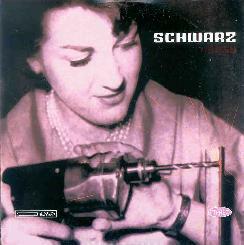 Schwarz - "Hard Listening" / "Schwarz Play Christian Rock" / "Cheesy"
Hailing from Spain, Schwarz weaves a stylistically diverse sound. They’re all over the map, drawing on numerous modern styles to carve their own unique niche. Hard Listening is probably the most diverse of these three CD’s. The band, a quintet (or maybe a quartet with one guest-not sure) on this release, seems to be searching for an identity, but the search is an exciting one. They utilize all manner of instrumentation, from guitars, bass, drums, and synths, to sitar, theremin, mellotron, bongos, and piano. Every track is a winner, from the intense title track, which sounds like it could have been the trippy theme song to some 60’s TV show (it reminded me a little of Alan Davey’s re-interpretation of the UFO theme! ), to the beautiful sunshine psychedelic folk of Sunday, to the amazing Moonsickness, which starts off as a heavier Syd Barrett-like psych rock tune, becomes a vaguely Eastern influenced meditation, and finally opens up into a King Crimson style jam with loads of heavy guitar, loose structures, and deep, brooding mellotron. I also really liked the instrumental madness of Sun and Moon Vibrations, with its near lounge organ, wonderfully oddball theremin lead, jazzy timbre, and grooving rhythms; and the tasty jam of Tsunami, with pounding drums, throbbing synths, spacey electronics, and a flippy flute-like lead. This was the Schwarz’s second full-length, following 1998’s These Songs Mean Nothing, and all in all, a terrific sophomore effort. 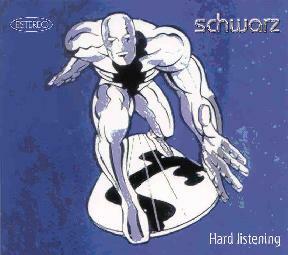 Besides, you gotta love a CD that uses the coolest superhero of all time, The Silver Surfer, in its cover artwork! 2002 found the band pared down to a trio, but their sound is no less trippy and complex, as evidenced on two releases from this year, the EP Schwarz Play Christian Rock and the new full-length album Cheesy. From what I can tell from reading interviews translated from Spanish via AltaVista’s Babelfish program, it appears that the title of their EP, Schwarz Play Christian Rock, was a tongue in cheek attempt to defy categorization (don’t quote me on that! ), though the band themselves refer to their music as both psychedelic and drug music (though they point out that they consider the idea of “drug” to refer to the music itself, acting like a drug on the listener). 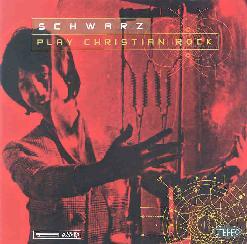 Recorded along with the songs for their full-length, Cheesy, it was deemed that the four tracks on Schwarz Play Christian Rock fit well together on their own, and besides, Cheesy had been planned out from the start as a complete work. Hence, we get this very groovin’ EP that kicks off with the soaring title track, a great guitar based rocker with liquid synths and urgent, forceful drumming. Following that is one of their trippiest tunes, and instrumental called Obrigado, sporting what sounds like a combination of both drum machine and live drums, spaced out synth textures, and some wickedly wah-wahed guitar. The nearly 10-minute Dear Cancer continues with the burbling synths, this time bordering on an almost electronica sound, until about the 5 ½ minute mark where the crunching guitars and wall of noise distortion kick in for a dazzling space jam finish. My Favourite Shoes, a spacey acoustic number rounds things off nicely at the end. The newest full-length album from the band, Cheesy, is the most stylistically focused of all three releases reviewed here. It’s a little mellower too, and pulls in some slightly more pop-oriented influences, but still remains just as out there as the band’s previous works, and in some ways, even gets a little more experimental at times. You gotta love a track with a title like You and Me and the Vacuum, and this one is definitely out there (in a fun way). Amidst shoegazer guitar and whacked out lounge organ, a chorus that could be mermaids or space maidens from some cheesy 1950’s movie wails away. Great stuff! On the pop side of things is the bouncy Gasoline, with it’s catchy keyboard riff, the fuzzed-out but hook-laden rock of The Impossible Dream, and the great melodic psychedelic pop of the title track (although this one warps into hyperspace near the end for a mind-bending finale!). The 8-½ minute Peppermint is a pretty laidback trip as well, till it explodes into another wild space freak out. I Belong to Winter, on the other hand, is like Christmas on Mars. The theremin makes a great appearance here, giving this a definitely otherworldly feel. The album closes off with the sweet melancholy of Glad of Being Sad, and a 9-minute long jam that builds from a gentle, march-like riff to a noisy post rock entry in a style similar to Mogwai. Unlike Mogwai, though, Schwarz throw in some lovely and melodic mellotron on this one that gives it a bit more of a symphonic feel at times. All the vocals on the album are low in the mix, which I like, making them more of another instrument, rather than the focus of the songs. Any of these discs is a good place to start with this band, though overall, I think I liked their second full-length, Hard Listening, the best, for its stylistic diversity. But that’s just a slight preference. All three releases display some great psychedelic music that doesn’t fall into the trap of sounding dated-this is modern music that will trip you out. You can visit Schwarz at their web site, but if you don’t read Spanish, you may want to run it through the Babelfish web site first. Schwarz’s web site is at: http://perso.wanadoo.es/schwarz. You can find the Babelfish web site at: http://uk.altavista.com/babelfish. Astro Discos has Schwarz’s CD’s available for order. They’re at: http://www.astrodiscos.com. You can e-mail the band at: schwarz@ono.com.